If your looking for unique memorial gifts or memorial keepsakes then you have come to the right place. One sad fact of life is that we will lose someone precious at some point in our lives. I totally understand that is nice to have a keepsake to remember them buy. When I lost my father I wanted to make something with his ashes and came up with this idea. 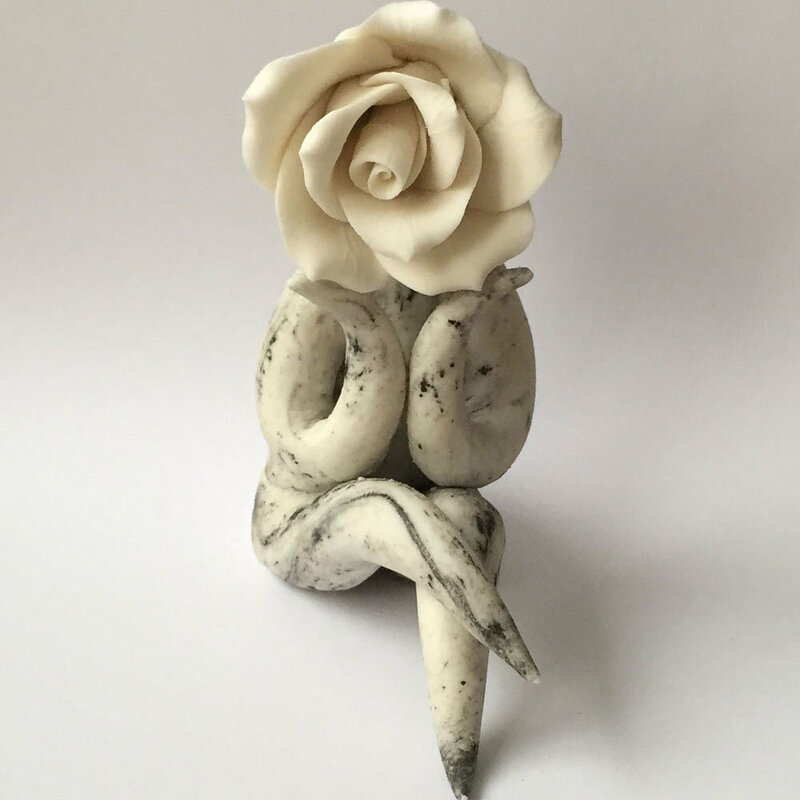 I have worked with bone china (which contains bone ash) for many years so it made perfect sense to add his ashes to bone china and make some flowers out of it. It can make the clay dry a little and often there are tiny marks in the finished flowers, but not enough to really notice. It is probably just me that notices that they are not quite as perfect. Now I also make these memorial keepsake picture frames for customers. I will need around 5 grams of cremation ashes which can be posted to me. The time it takes to make them depends on the availablity of bone china. But I should manage a turn around time of 3-4 weeks. If you need them any sooner, phone me or check first as it might be possible. I charge £60 for any frame size up to 30 cm x 30 cm. 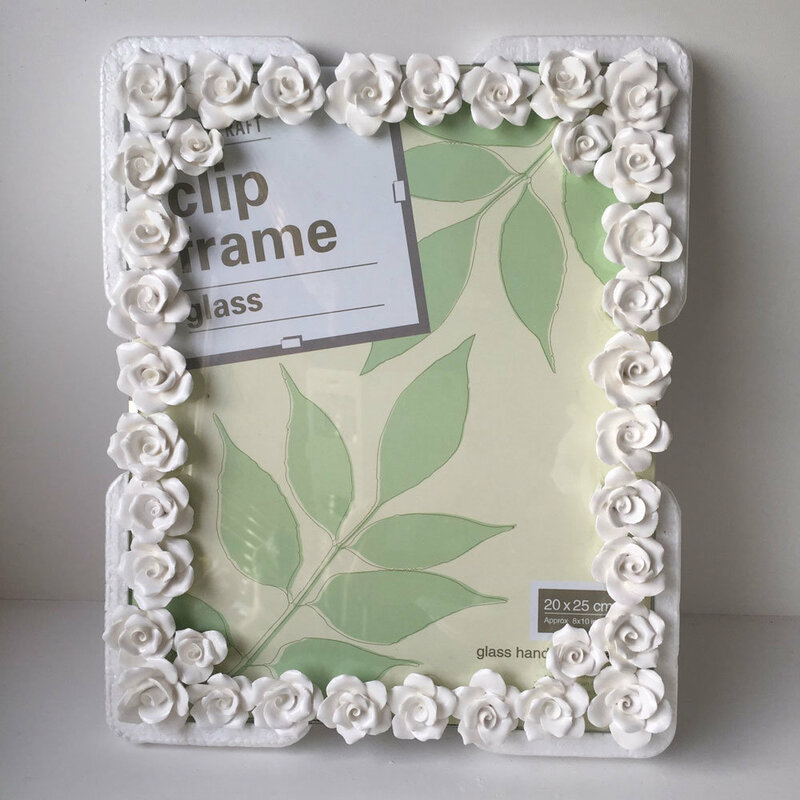 The frames I use and buy are from Hobby Craft. To see the different sizes click here. You can place an order online where I will take £30 plus postage. Then the final £30 will be due on completion. DO please tell me if there is a time limit, ie need by a certain date. I will be in touch once you place the order. Use the form below to send me the size of the picture frame. My address is on my contact page for you to send the ashes too. My phone numbers are also listed, so give me a call if you wish.